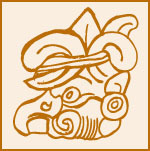 People from all over the world, both experts and non-experts, have expressed their opinions on the meaning of the year 2012 in the context of the Maya calendar. Hear the voices of Maya people as they share their thoughts regarding the end of the 13 baktun cycle that spans from August 11, 3114 BCE to December 21, 2012. Felipe Tapia, Yucatec Maya from Mexico gives his opinion on the meaning of the end of the Maya Long Count Calendar. Hermelinda Sapón, K’iche’ Maya from Guatemala gives her opinion on the meaning of the end of the Maya Long Count Calendar. Juana C. Batz, K’iche’ Maya from Guatemala gives her opinion on the meaning of the end of the Maya Long Count Calendar. Luis Llovera, Yucatec Maya from, Mexico gives his opinion on the meaning of the end of the Maya Long Count Calendar. Marco A. Pacheco, Yucatec Maya from, California, USA gives his opinion on the meaning of the end of the Maya Long Count Calendar. Otoniel R. Sacal, Itzá Maya from Guatemala gives his opinion on the meaning of the end of the Maya Long Count Calendar. Vilma Poz, K’iche’ Maya from Guatemala gives her opinion on the meaning of the end of the Maya Long Count Calendar. Sergio Dolores, Kaqchikel Maya from Guatemala gives his opinion on the meaning of the end of the Maya Long Count Calendar.